Our Ursa Major saddle bag is the perfect solution to pack up, ride out, and go watch the stars. 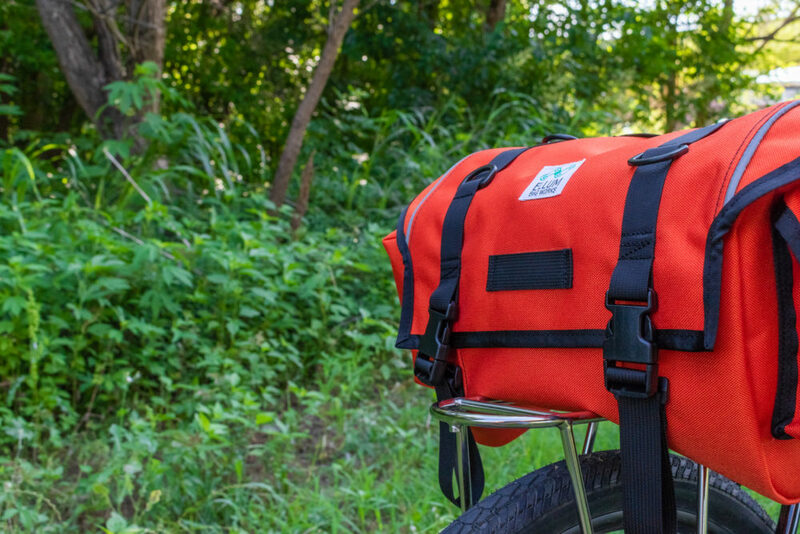 This big bear of a bag is extra large, built to last, and ready to haul as much as you can stow. 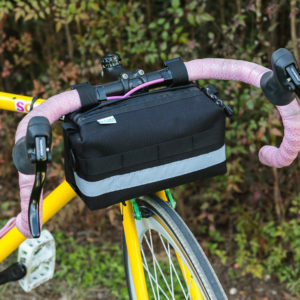 Our Ursa Major saddle bag is the perfect solution to pack up, ride out, and go watch the stars. 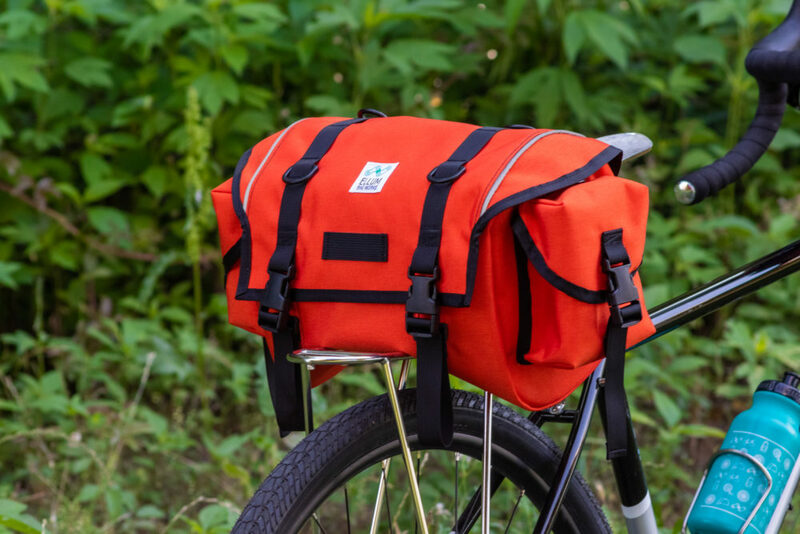 This great bear of a bag is extra large, built to last, and ready to haul as much as you can stow. 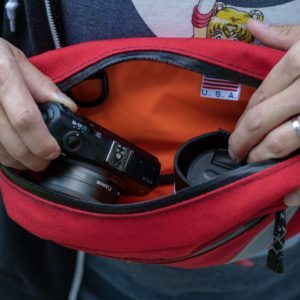 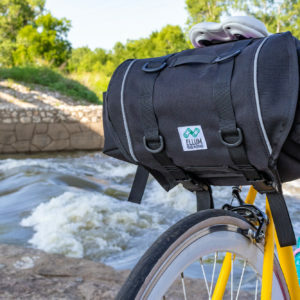 If you’re looking to enjoy some much needed camping time, the Ursa Major saddle bag has plenty of room in the main body as well as the outer 3D pockets. 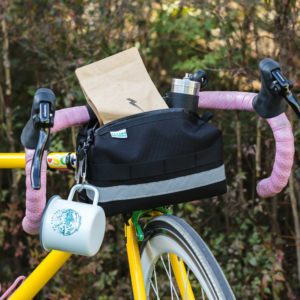 There are also additional lashing points located on the bag flap with included d-rings on the daisy chains so you can tie down extra gear, or clip on any EBW enamel mugs. 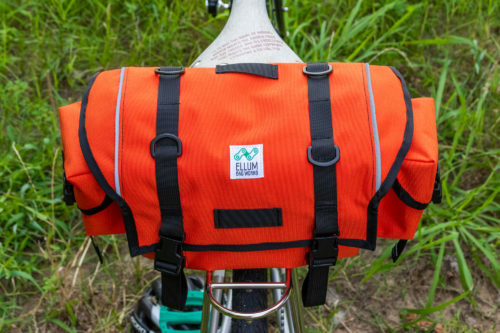 The flap can be expanded outwards to tuck in soft goods like a cozy flannel shirt, or make room for the telescoping neck of the saddle bag. 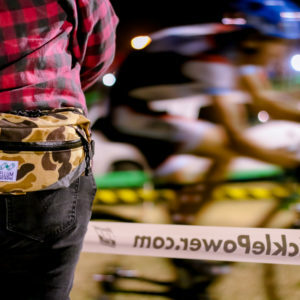 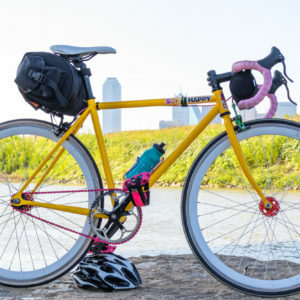 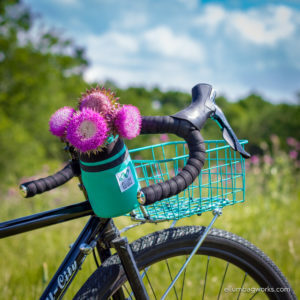 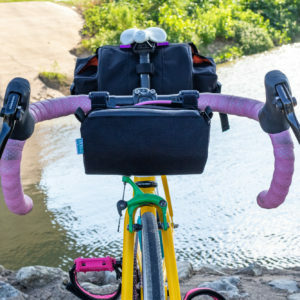 The Ursa Major Saddle Bag connects via 3 webbing straps, two attach to your saddle loops/tabs, and one connects to your seat post/rack/bag support system on the extra long daisy chain. 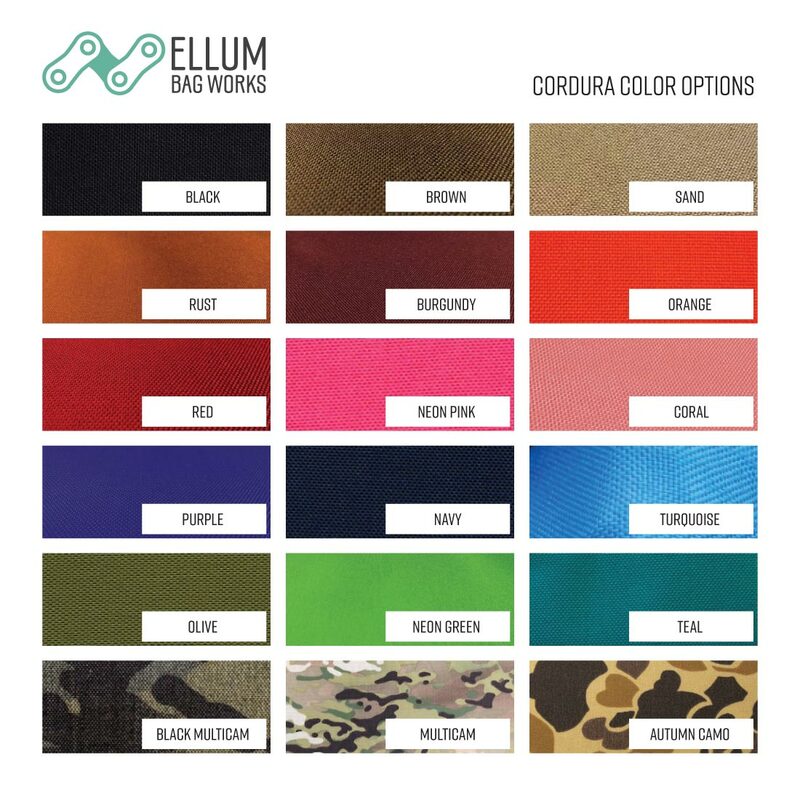 We provide three Mil-spec nylon webbing straps, as well as a sustainable hardwood dowel to provide rigidity, and stabilize the saddle bag. 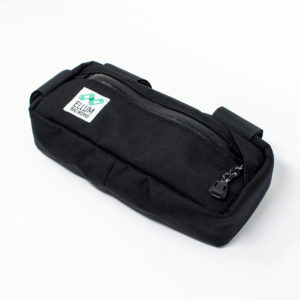 The Ursa Major saddle bag is a Made to Order item, please allow up to 14 days for production. 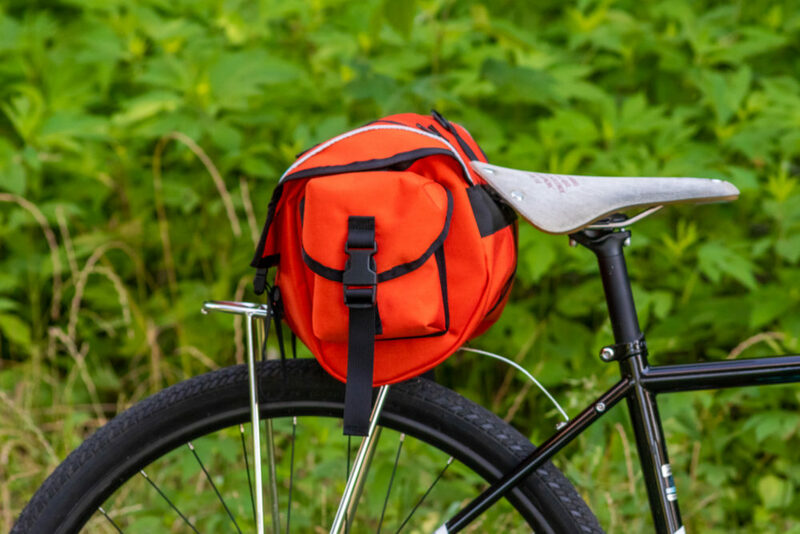 Our Ursa Minor saddle bag is the perfect solution to pack up, ride out, and go watch the stars. 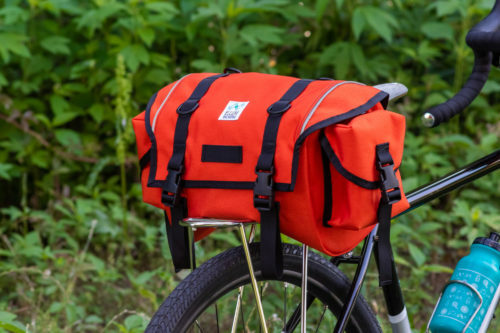 This little bear of a bag is built to last, and ready to haul as much as you can stow. 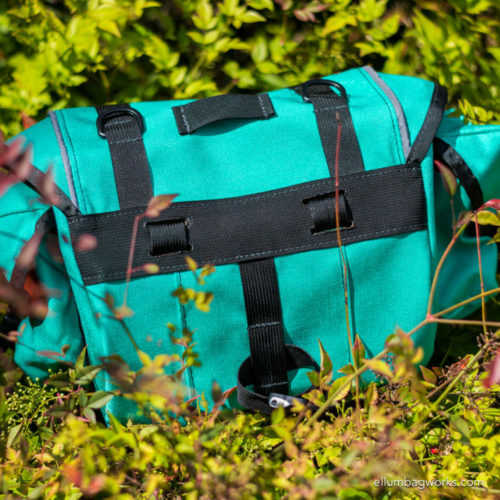 Carry everything with our Main St. Rolltop backpack! 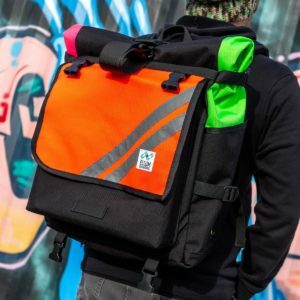 It doesn’t matter if you’re splitting cars for deliveries, carrying home your groceries, or commuting to work/school, this bag has you covered. 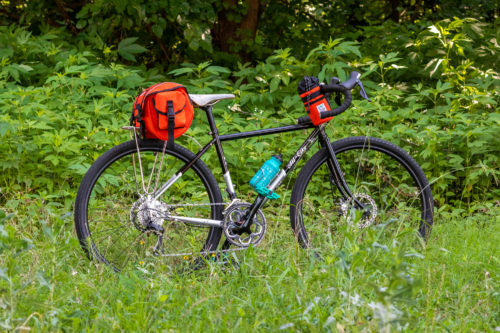 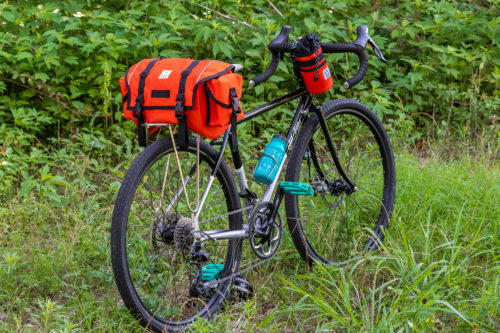 The Carryout Frame Pack pack is the right size for your wallet and keys, any flat tire repair kits, a couple of cans of beer, falafel and fries, or some needed trail snacks! 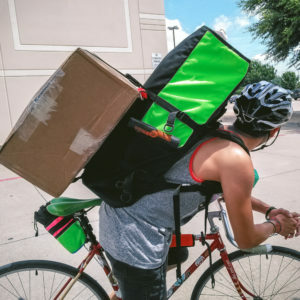 Just throw in what you want to pack in the Carryout, and just enjoy the ride. 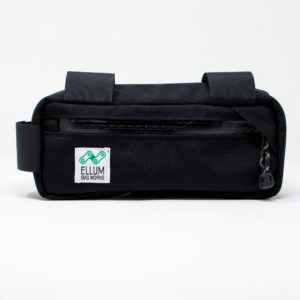 The Monterrey Pack was created to replace my partner’s well loved AAA Wrestling fanny pack that he received when he wrestled in Monterrey, Mexico. 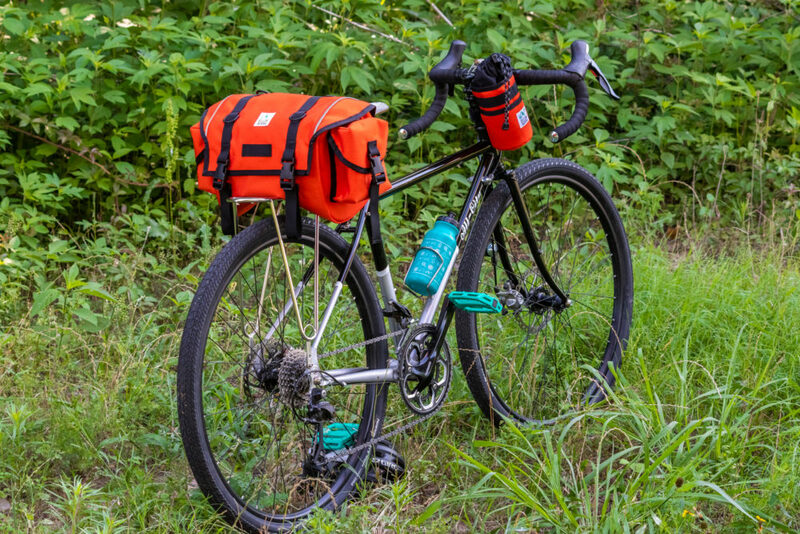 Our pack is a nod to the classic and updated with new cycling specific necessities, such as reflective accents, a U Lock holster, and plenty of space. 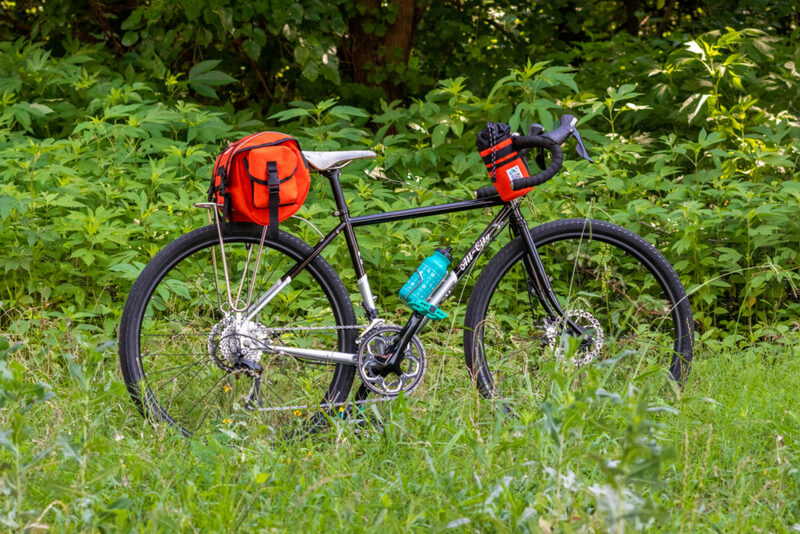 Our little cousin to the Bar Crawler is half the size, and half the price! 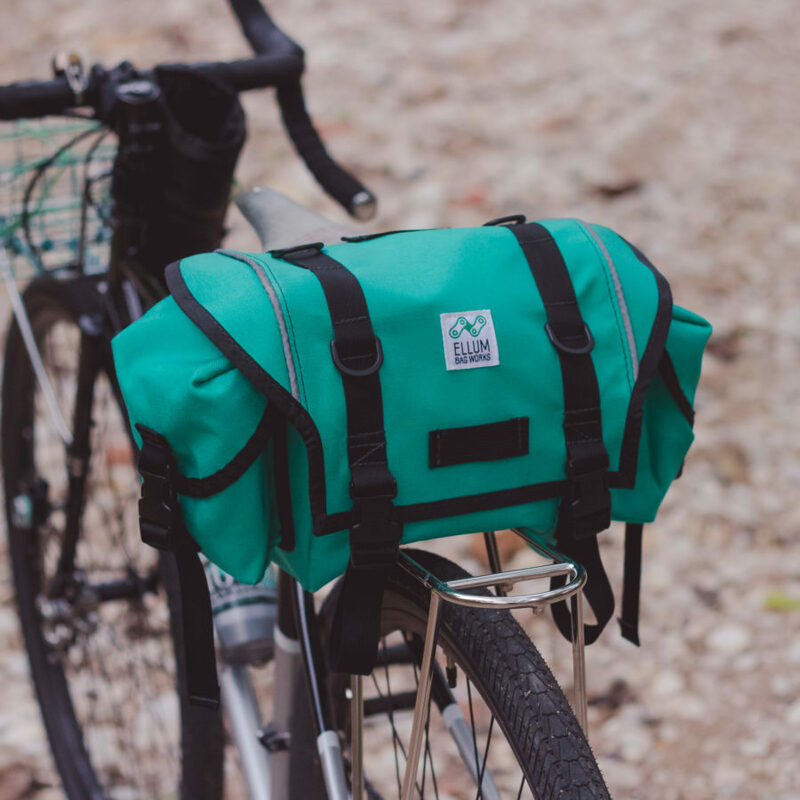 The Happy Hour is for those quick runs to the corner store, if you think the weather might turn on you, or just to carry every day ride essentials. 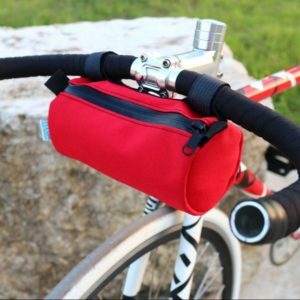 The Hitchhiker Stem Handlebar Bag likes to hang out in the cockpit with you, but you can put the Hitchhiker to work by carrying your drink, snacks, phone, drink mixes, and anything that fits! The Bar Crawler is one versatile bag that you can load full of your necessities, bike packing goodies, or a couple of local brews. 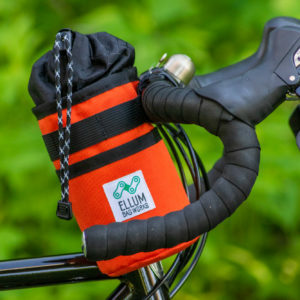 Strap this bag to your handlebars, or if you feel a little rebellious, you can even strap it to the saddle!